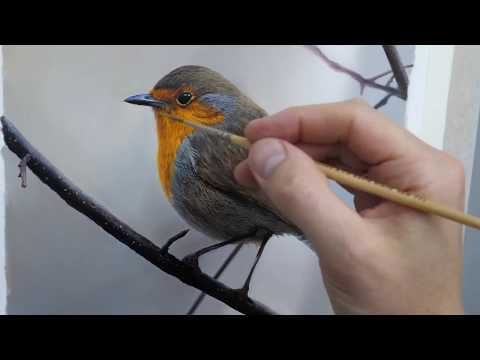 In this oil painting tutorial I’ll show you how to paint a bird. I’m a professional landscape artist with over 20 years of experience in oil painting. My YouTube Channel is dedicated to helping people learn how to paint in oils. I really believe that everyone can learn how to paint! As well as my videos on YouTube, you can access oil painting tutorials on my Online Art School where I’ll take you step by step through my painting process so that you can create your own beautiful photo-realistic paintings!